The storm coming down on the Bay Area this week is triggering mixed reactions among people living in the Santa Cruz mountains, where a wildfire ravaged thousands of acres in September. 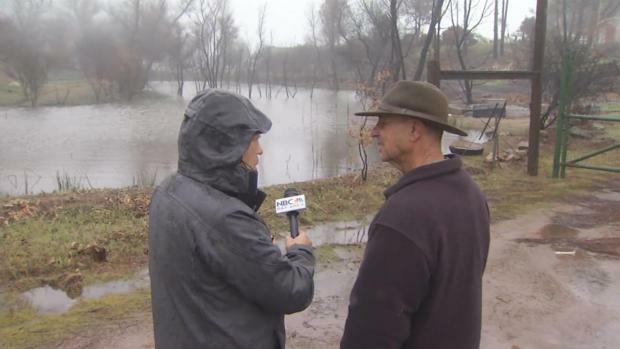 Residents want the water, but worry about the damage it could do to the area still recovering from the Loma Fire. The wildfire ripped through nearly 4,500 acres, destroyed a dozen homes and 16 buildings. Norman Noble lost a utility shed and flames scorched his property. The storm coming down on the Bay Area this week is triggering mixed feelings for people living in the Santa Cruz mountains, where a wildfire ravaged thousands of acres in September. Robert Handa reports. "The really steep areas burned hotter than other places, so everything is gone on the steep areas," Noble said. "There's going to be erosion there." The potential impact also has the Santa Clara Valley Water District taking short- and long-term action around Uvas and Chesbro reservoirs. "We are concerned that sediment or debris will come off the burn fire scar and end up in the reservoirs," said Aaron Baker, the district's raw water operations manager. Water district spokesman Marty Grimes said an option would be to build some sort of barrier to prevent sediment from reaching the reservoirs. Noble likes the idea, but said it will not happen soon enough for some. Many like Noble are also concerned about water from the roads pouring onto their properties. Scott Green has lived in the Santa Cruz Mountains for more than 40 years, and has experienced his share of storms. Still, he predicted that Thursday's dose of inclement weather won't be fun. "Highland Way gets flooded, and ditches over flow," Green said, and people can "see up to a foot or a foot-and-a-half of water." The Green family has protected its property from flooding, but he claims the county is not sufficiently prepared along Highland Way and are not doing enough to clear out storm drains. "We have a challenge with county roads to maintain the ditches," he said. 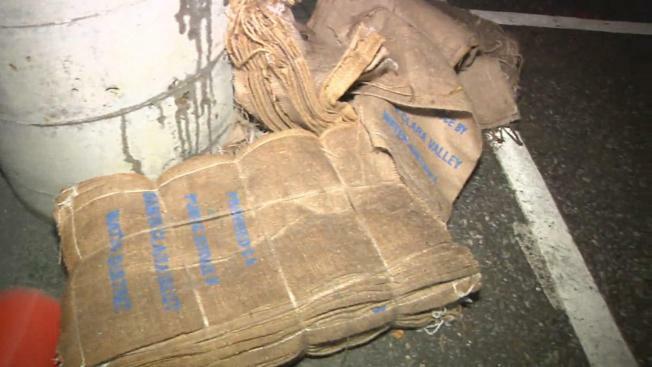 Many cities are offering free sandbags and officers were spotted along Highway 17, trying to keep drivers safe.